Scripture: Is. 9:2 -- The people walking in darkness have seen a great light; on those living in the land of the shadow of death a light has dawned. they will be called 'sons of the living God.'" We annually celebrate Isaiah's words that "a light will dawn on those living in the land of darkness." Many have seen the light shining but have said no to the clear opportunity. Meanwhile, thousands of ethnic groups of the world have until recently have been isolated from the light by geography, culture, religious or political powers, their own prejudice and other factors from a real hearing of the good news of God's love and light in Jesus. 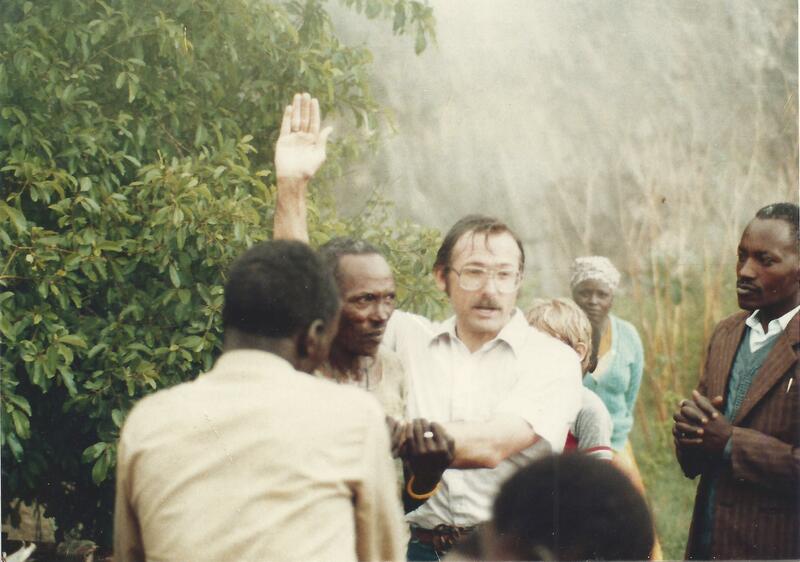 Up to the 1980s, the Maasai people of Kenya and Tanzania were considered unresponsive and unreached with the gospel, despite periodic contact with missionaries, and more recently African evangelists. They were suspicious or uninterested. But after decades of periodic and persistent opportunities, the Maasai people began to be positive toward the message of Jesus. The "old man of the village" solemnly approached me as we were making final preparations for the baptism. Oimbia ole Kisotu made this request of me: "I would like to be baptized first, so that everyone will know it is all right for a Maasai to be a Christian." Oimbia had seen the light, and he wanted to shine it brightly upon his people! I will call them "My People" who were not my people. [Hosea 2:23] ... Where it was said to them, You are "Not My People," they will be called the "Children of the Living God" [Hosea 1:10]. The Maasai were one of thousands of peoples in the world who had been called "Not My People." But the Light had shined. They were publicly announcing that they were now named by God "My People." This story is being repeated worldwide as creative means of access are being discovered and implemented even in the Last Frontiers of the gospel in our modern world. Lord, thank you for the many channels you are opening up to us to meet people of other nations, who have not had the chance to clearly hear the gospel and decide for or against Jesus. Let the light of Jesus shine through us in every situation to help "Not My People" see how they can become "My People."